We will hold a mix of professional development and networking events throughout the year. They’re a great opportunity for professional communicators to build their networks, acquire new skills and learn about the current trends in business communications. If you are interested in presenting to the IABC Western Australia membership group, we would love to hear from you, too. 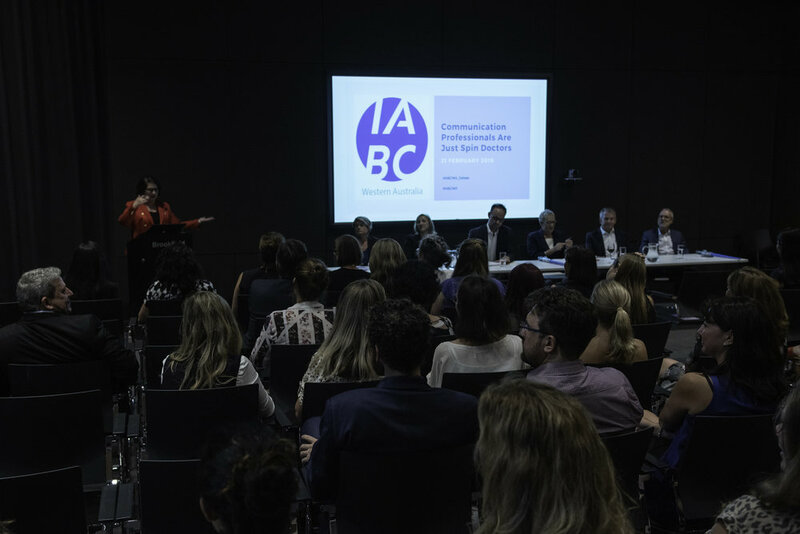 IABC Western Australia’s inaugural Great Debate on Thursday 21 February 2019 was a sell-out event which did not disappoint. 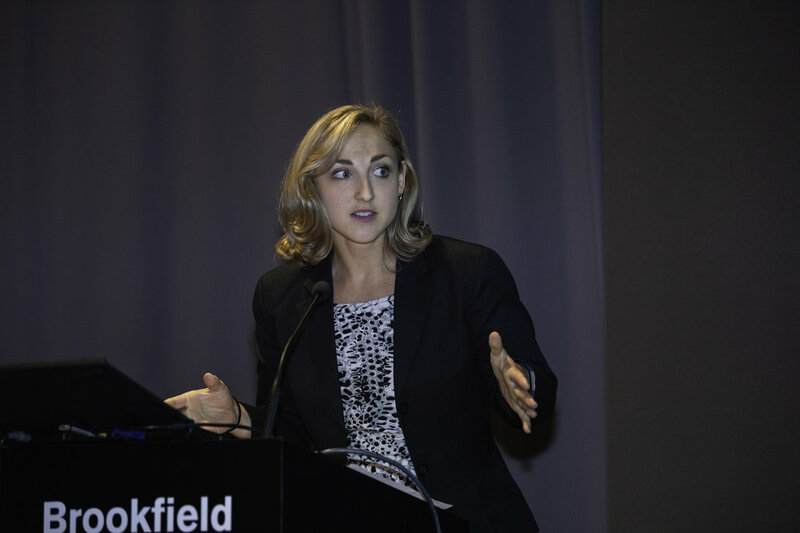 MC extraordinaire Andrea Burns kept the excellent verbal sparring reasonably under control and the audience was treated to wide-ranging perspectives and plenty of humour. 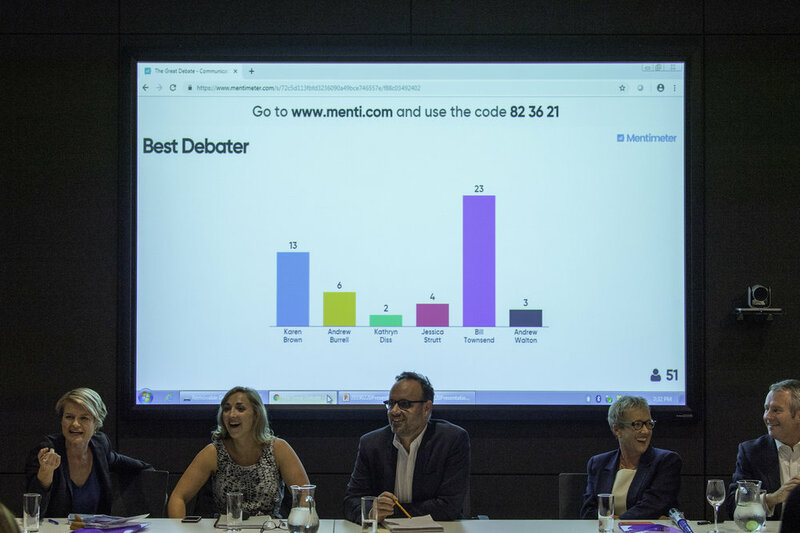 The negative team, arguing that Communication Professionals Are NOT Just Spin Doctors, won the night and Bill Townsend picked up the gong for Best Debater. We’ve all heard the myth that Communication Professionals Are Just Spin Doctors. 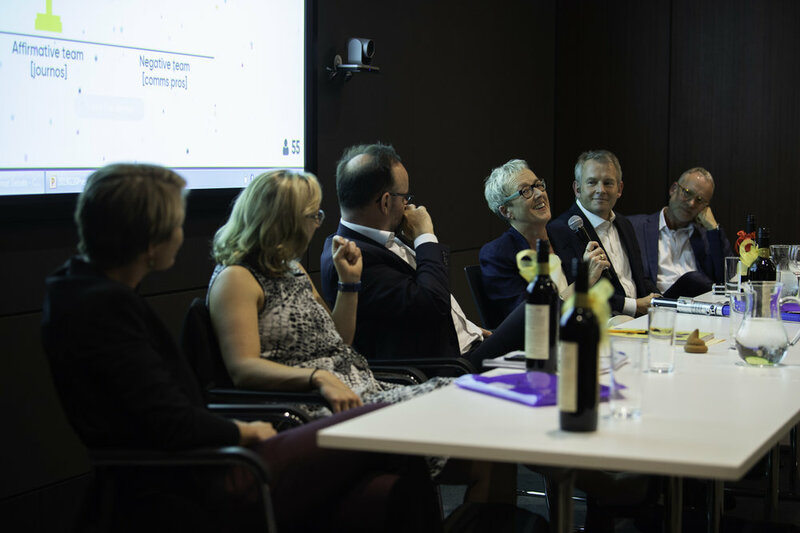 We’ll be putting that theory to the test on Thursday 21 February when we kick off our year with a light-hearted debate featuring some of the best in the business, pitting some of WA’s best-known journalists against three of our industry’s most senior communication specialists. 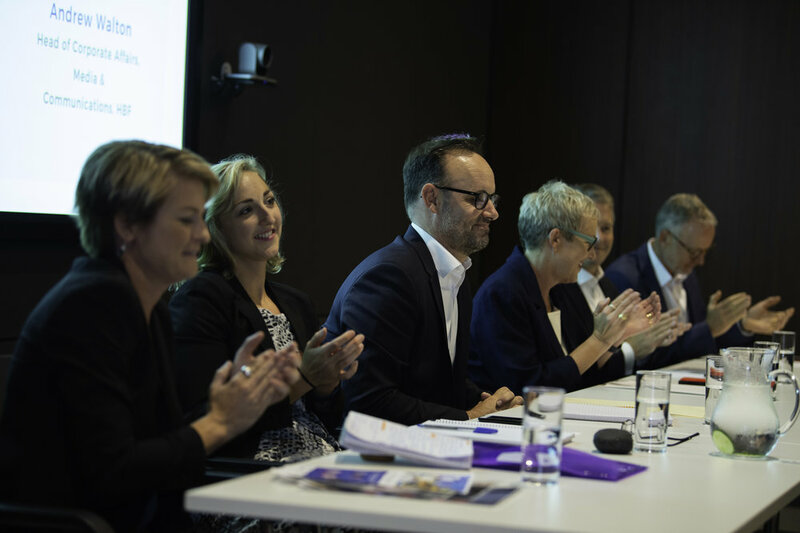 Hosted by TV and radio personality Andrea Burns, the debate will feature: ABC Radio’s new Focus host and former political reporter Jessica Strutt, Chief Reporter at The Australian Andrew Burrell and ABC News business reporter Kathryn Diss. 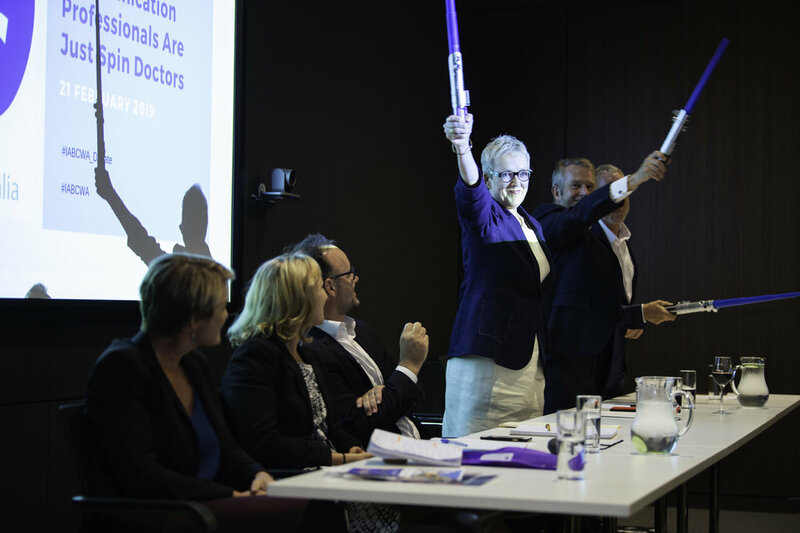 Presenting the case for the communicators will be Cannings Purple national director (and ex journo) Karen Brown, INPEX General Manager External Affairs and Joint Venture Bill Townsend and Head of Corporate Affairs, Media and Communication at HBF Andrew Walton. This IABC Western Australia event is proudly sponsored by Cannings Purple. Join us at IABC Western Australia’s networking/sundowner event. 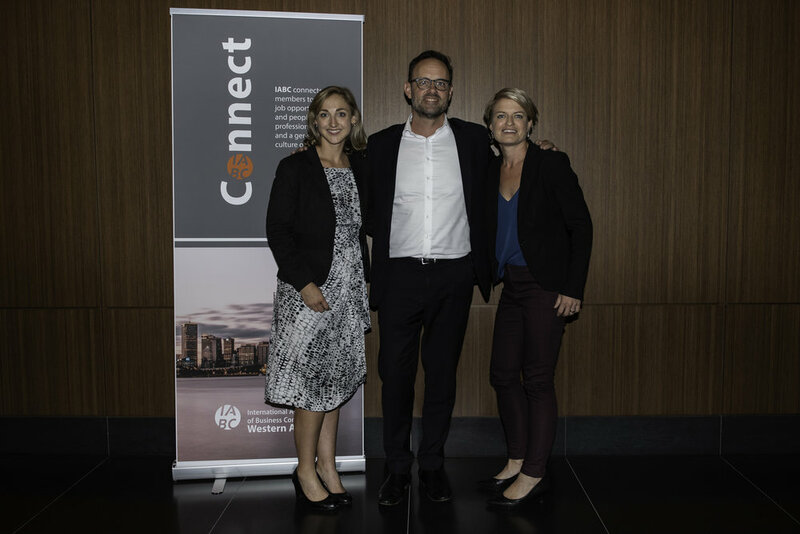 We are looking forward to a dynamic 2019 for IABC Western Australia. Come and enjoy a drink and network with old and new communications colleagues as the end of this year edges closer. Find out how IABC can support you in your career. 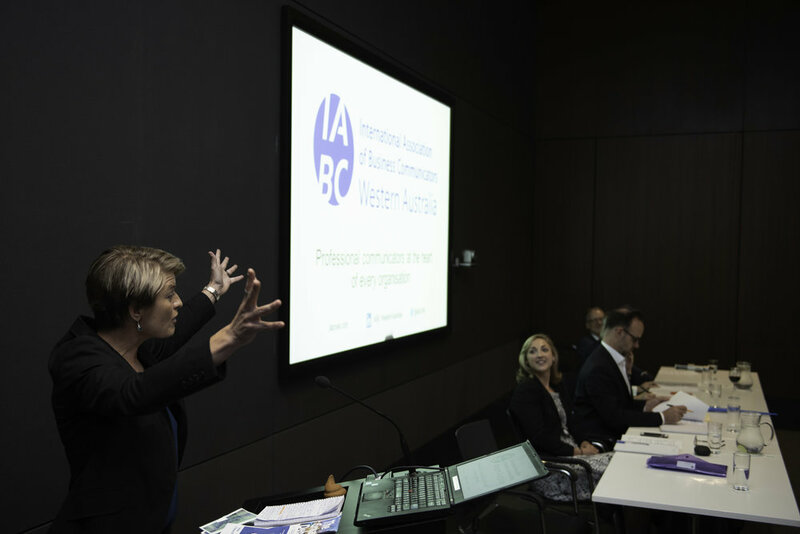 Join us at IABC APAC's networking/sundowner event, following our first ever masterclass, "Leadership Skills for Communication Professionals" in Perth, Tuesday 20 March. See IABC APAC events page for masterclass info & registration. We’d love to see you for both, or just come along for the networking. We have big plans for IABC in WA and look forward to sharing them with you then. Explore the demands of communication leadership and the skills and attributes needed to lead an effective team and achieve key organisational outcomes. This class is taught by Adrian Cropley, ABC, FRSA and draws on his extensive years of business, HR, communication and change experience, coupled with leading practices of his global clients. During the program, Adrian will help attendees through some of their specific challenges. Expect to walk away with helpful solutions, tools and techniques and have fun in the process.